Webscale is the only multi-cloud SaaS based solution designed to enable e-commerce companies to migrate and enjoy the benefits of the cloud. Webscale’s platform runs on multiple clouds, primarily running on public cloud providers. The philosophy and business model of Webscale and cloud providers are similar, both offering a simple to procure, deploy and maintain, easy to use, completely programmable and pay-as-you-go pricing model. Webscale has over 100 customers on Amazon Web Services in multiple locations across the United States, Europe, Asia, And Australia. The Webscale distributed data plane consists of Load balancer, Web Application Firewall (WAF) and Application Delivery Controller (ADC) functionality and ensures sites are faster, more secure and have 100% uptime. 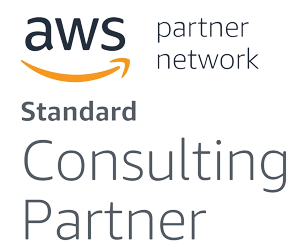 The Data Plane is deployed in AWS in close proximity to the application infrastructure, and in certain enterprise customers, within the same account as the application. The Webscale control plane also resides in AWS, where it manages the data plane and is responsible for infrastructure-related decisions like auto-scaling, backup and optional CDN through Cloudfront. Much like AWS, Webscale has more than 100 stores deployed globally within the Google Cloud. The Webscale distributed data plane is also on GCP to ensure proximity to customer infrastructure. To enable ease of acquisition by customers, Webscale performance and security products are also listed on the Google Cloud Marketplace. Microsoft Azure is the preferred choice of certain enterprise requirements and integrations as well as windows-based (.NET) application deployments for Webscale. With multiple deployments on Azure platforms, Webscale has truly embraced its cloud-agnostic solutions, by providing the same constructs around predictive auto-scaling, self-healing across all clouds using a single management plane. Along with managed solutions that include migration and setup of applications in the public cloud, Webscale also has an a-la-carte portfolio of products to support applications that continue to reside in private data centers. We often find that customers tied into long-term contracts with their existing hosting providers, who are interested in transitioning to a cloud-based deployment over time, choose Webscale a-la-carte solutions as a stepping stone into fully-fledged cloud migration. While these applications cannot take full advantage of the many benefits and flexibility of the public cloud, Webscale brings a portfolio of performance, resiliency and security features to the application, at significant cost advantages. With a simple DNS change, all web traffic now goes through Webscale and can protect against cyber threats, including DDoS attacks, provide maximum performance gains through caching, CDN integration and content optimization, and increase resiliency by mirroring the private data center in the public cloud, in real-time, for disaster recovery scenarios.